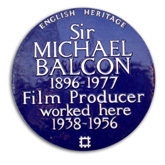 There are 6 English Heritage Blue Plaques in Ealing, including one erected by the former Greater London Council which ran the scheme before EH. 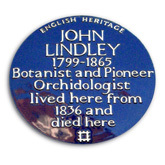 Ealing Civic Society plaques are green, with one bronze pavement plaque – these are listed on a separate page. 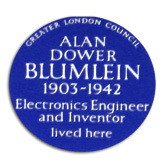 Nevil Shute, the novelist: English Heritage have received and shortlisted a proposal for the erection of a Blue Plaque at his former home in Somerset Road W13, which they are unable to progress at present. 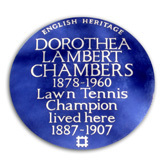 For more information about English Heritage blue plaques and a register of other commemorative plaque schemes see the English Heritage blue plaques register.